Overall, the short term roller coaster left a bitter taste with many fans. 2014 offers a unique opportunity for the Marlins to enter a season without the drama that has surrounded the franchise during the previous 2 seasons. While the lack of media and fan scrutiny may make it a calmer spring, it may not necessarily lead to a more successful season. The offense of the Marlins will have to overcome a team wide trend towards striking out at an aggressive rate if they want to succeed in 2014. In 2014, despite some surprisingly positive developments (namely the emergence of Jose Fernandez as major league ready ace) from the previous season, it seems the attitude in the city is a general malaise towards the team. This is a sad turn of events because the Marlins have actually behaved much more responsibly and worked to build the solid group without sacrificing their future in the off-season. As we do our review of the team, we will focus first on the line-up and then on the rotation, where the Marlins will be desperate for someone to step up besides Fernandez. Any discussion of the Miami Marlins offensive begins with the health of Giancarlo Stanton and the future of Christian Yelich. The Marlins will need to rely on their two corner outfielders to produce the majority of their offense. The Marlins offense will rely in large part on the health and production of their star slugger, Giancarlo Stanton. Stanton, when healthy, is an elite power presence. If he can maintain that health, Stanton should be counted on to hit 35-40 home runs. His one large flaw is a heightened strike out rate. Sadly, this is a common flaw in the Miami line-up. 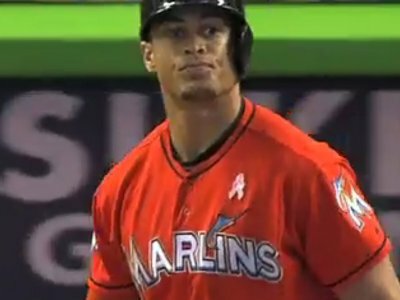 Stanton has a proven history of elite power production although a couple more red flags arose during the 2013 season. First, Stanton, once again, missed time during the season due to leg injuries.This is an obvious issue for a team whose power production will be largely dependent on Stanton being on the field. It will be incredibly difficult for the Marlins to consistently generate runs if their premiere bat is going miss a quarter of their games. At age 24, Stanton is entering his power prime, but this health question may extend even beyond staying on the field. When Stanton was on the field, we saw a dip in his power profile from previous years. In fact, his ISO was at its lowest level since his rookie campaign in 2010. 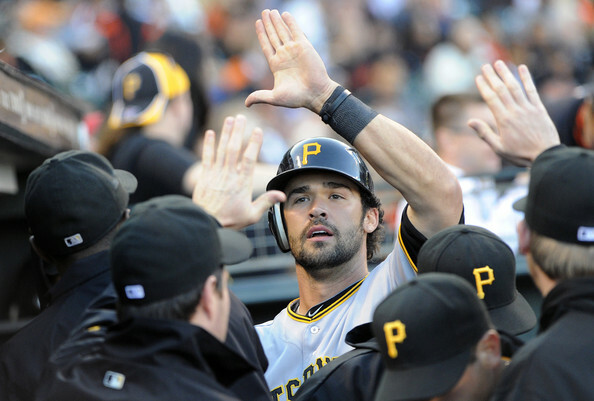 During the 2013 season, he hit 13 fewer home runs in 3 more plate appearances than in 2012. It may seem like I’m being critical of a player with a .231 ISO, which is borderline insane, but it is worth noting that the ISO is a three year low. Given Stanton’s age, it seems likely that his injuries sapped some of that spectacular power we are so used to seeing. There is little doubt that when healthy Stanton is an elite power hitter in the game. The Marlins need to take all precautions possible to keep their star as close to 100% as possible during the rigors of the six month season. As important as Stanton’s health is to the organization, he cannot be the sole offensive star for the team to progress forward in 2014. He needs help, and the most likely source of that assistance is 22 year old Left Fielder Christian Yelich. 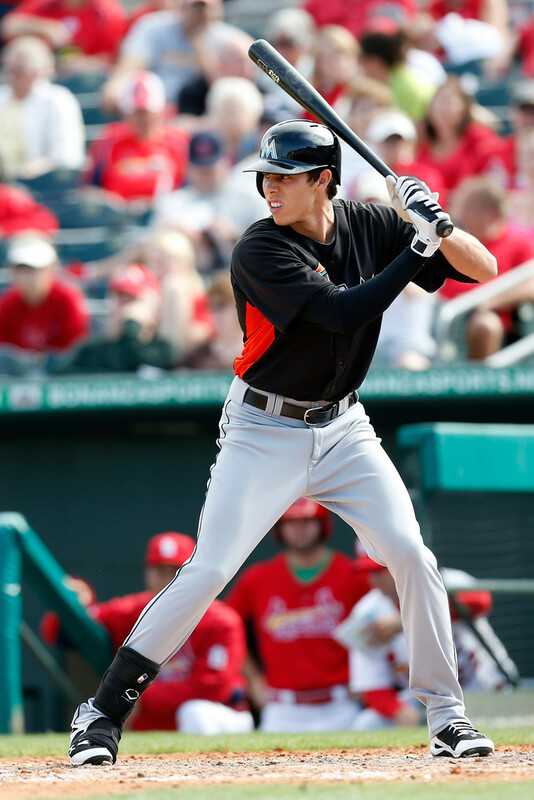 Yelich is a different style player from Stanton. Where Stanton makes his living as an elite power presence, Yelich will tend to make his living by being on base for Stanton’s blasts. Yelich will turn just 22 this offseason, and is coming off of a .288/.370/.396 year – with 69 Hits in 62 Games Played in his Rookie campaign. Yelich, originally from Thousand Oaks, CA, held a Career .886 OPS in the Minor League during his 1145 AB – and was the 13th Ranked Prospect by Baseball America in 2013. Luckily enough for the Marlins, in every situation in which Yelich has been given advanced plate appearances, he has shown a true knack for grinding opposing pitching. His .370 OBP from 2013 is supported by his progress through the minor leagues, and there is little reason to believe this suddenly patient hitter will change now. Development of his power would add an additional wrinkle to this offense, but he hasn’t shown an elite power profile at any level. I would believe that the Marlins see Yelich as the ideal two hitter while Stanton would be best suited for the four spot in the lineup although batting Stanton three is far from a terrible thing. The question will be how the remainder of the line-up shakes out. Jones is more than adequate fielder in both Outfield and First Base. His 2014 will depend on how he hits versus LHP and how good Jeff Baker does in vying for playing time against hime. Baker hit a high amount of HR’s per AB in 2013 (11 big fly’s in just 154 AB). Jones only smacked 15 Roundtrippers in 403 AB. The Marlins will use a straight platoon at first base for the 2014 season. Garrett Jones will be the primary first baseman as he will be the dominant portion of the platoon against RHP. Jones was a below replacement level asset in 2013, and the biggest problem the Marlins will face with his plate appearances, even against right handed pitching, is his inability to get on base consistently. A .295 OBP is disturbingly low for a player who will be looked at as the primary option against that type of pitching. Jeff Baker will serve as the primary option against left handed pitching from first base. Baker is a bit of a steadier option as far as consistent production against his assigned pitching type. With a .407 OBP and a .660 slugging percentage, Baker will make for a fine platoon partner for Jones. Together, the pair should be able to account for 25-30 home runs from the first base position. While these aren’t mind shattering numbers, it will allow the team to have a fairly useful middle of the lineup bat from first base. On top of this, the Marlins added Jarrod Saltalamacchia, who should stabilize that catching position for the Marlins. Catcher was a fair disaster for the Marlins in 2013 so Salty will add a nice presence, but there are red flags that he may not be the player he was last year with the Red Sox. Saltalamacchia’s problem offensively is one that may be universal across the middle of the Marlins lineup. He strikes out at an advanced rate and has for his entire major league career. Additionally, Saltalamacchia’s BABIP was the highest its been since 2008, which elevated his batting average to the highest point in his major league career. This presents a problem of sorts. Yelich, Stanton, Baker, Jones and Saltalamacchia all strike out at an advanced rate. This will almost assuredly be the 2 through 5 spots in the Marlins lineup, which is a bit disconcerting as all these strikeouts will make sustained offense a fairly large issue. 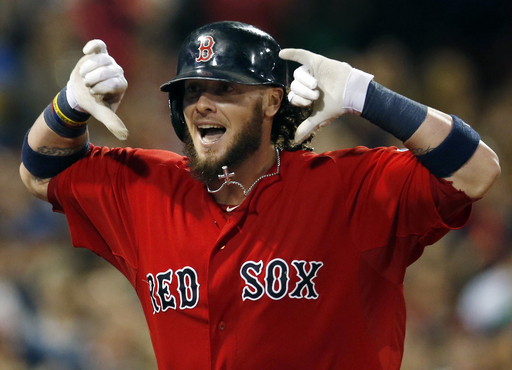 The Marlins biggest off-season move was to lure in Jarrod Saltalamacchia from the Red Sox. Salty will provide stability at the catcher spot for the Marlins, which was a mess in 2013. Much like the rest of his teammates though, Salty is prone to strike out at an advanced rate. Combine that issue and his higher than average BABIP, Salty’s offensive profile is not as prolific as perhaps last year’s statistics would indicate. The remaining Marlins offensive capabilities are a question mark. Third base will be a competition in spring between Casey McGehee and Ed Lucas. Both McGahee and Lucas are more efficient against left handed pitching as is Baker who may receive some playing time at the hot corner. Generally, all three players are better served at this point as platoon partners with a strong counterpart for right handed pitching. With none present, it seems the Marlins will roll the dice with one of the three against righties going into the season. The team has tapped Rafael Furcal to start at second base. Furcal is in his age 36 season and hasn’t had a plate appearance since 2012. Furcal’s skill set in his prime was tied primarily to his legs. With age and injury, his speed has disappeared. He still manages to strike out at a reasonably low rate, and he can provide an average bat if he can maintain his health, which is a huge if. Furcal combined with Yelich and Marcell Ozuna will try to present the table seters for the Marlins’ lineup. I could spend a lot of time on Ozuna, but suffice it to say that I’m unconvinced that he can duplicate his break-out May on a consistent basis. His advanced stats paint the picture of a free swinging player whose batting average is probably subject to some regression. n either case, a successful campaign for Ozuna will probably be an up and down season generally as he continues to adjust to Major League pitching. Overall, the Marlins offense has a lot of unanswered questions. The biggest question that needs to be answered is: can a team that strikes out so frequently across the board consistently succeed at scoring runs? I have my difficulties seeing the Marlins as a truly threatening offense because those strike outs will tend to kill rallies and allow pitchers to get out of tough situations. The development of Yelich and Ozuna could considerably change the team’s offensive fortunes, but right now, I see them as finishing in the lower half of the National League in runs scored. We will be back next week with a preview of the Marlins pitching where the team will again be reliant on young players to be competitive in the upcoming season. The Marlins young outfield will be the key to the team’s ability to score runs. 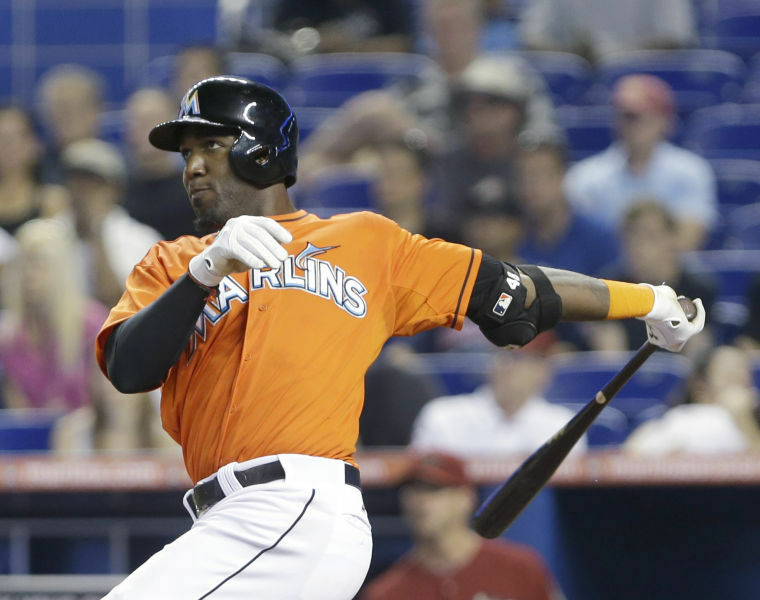 Marcell Ozuna has been tapped to be the Marlins’ starting center fielder in 2014. He has limited experience in the bigs, and his swing happy tendencies are a bit troublesome. With that being said, his power profile is something for Marlins fans to hope for in the coming season. The RHB flew out of the gates quickly with a .834 OPS in his 106 May AB. followed by a .685 OPS mark in June’s 98 AB, and finally concluded in July with a clip of .484 in July’s AB. 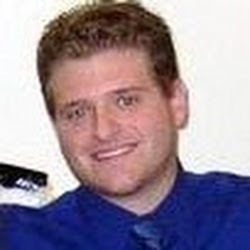 A big thank-you goes out to Our ‘Lead Baseball Columnist’ Nicholas Rossoletti for preparing today’s featured article. Nicholas is a young professional living in downtown Miami. He is a lifelong baseball fan and an avid Yankee supporter. Having grown up during the last two decades, he counts Derek Jeter and Mariano Rivera as his favorite ball players of all time. He believes in sabermetrics and that new stats have already changed the way the baseball industry sees players. He was for Trout over Cabrera, he thinks RBIs tell you a lot more about a team than a player and that defense and pitching, ultimately, win championships. Rational thought and introspective analysis over the narrative is how we come to understand the game we love. The narrative is just a way to keep those who don’t really love the game watching. Posted on March 2, 2014, in MLB Teams State Of the Unions and tagged 2014 Miami Marlins, @nross56, @Nross56 on twitter, boston, boston red sox, casey mcgehee, christian yelich, Ed Lucas, garrett jones, giancarlo stanton, jarrod saltalamacchia, Jeff Baker, marcell ozuna, miami, miami marlins, nicholas rossoletti, rafael furcal, red sox. Bookmark the permalink. 1 Comment.